The large propane tank installed dangerously close to a railroad on 20th Avenue and East 31st Street without municipal approval has been removed by Verizon. Municipal officials said the telecom company removed the 1,000-gallon cylindrical tank on Thursday morning. The trailers next to the tank remain at the site. For the past three weeks, Verizon and New York, Susquehanna and Western Railway engaged in written tussle over which organization had to remove the tank, according to emails received by the Paterson Times. “We’re looking into it,” said Ray McConville, a spokesman for Verizon, on Monday. He did not respond to subsequent calls for comment. Municipal officials identified Verizon as the owner. An inspector said the propane tank had markings that read MCI Communications, a firm Verizon bought in 2006. 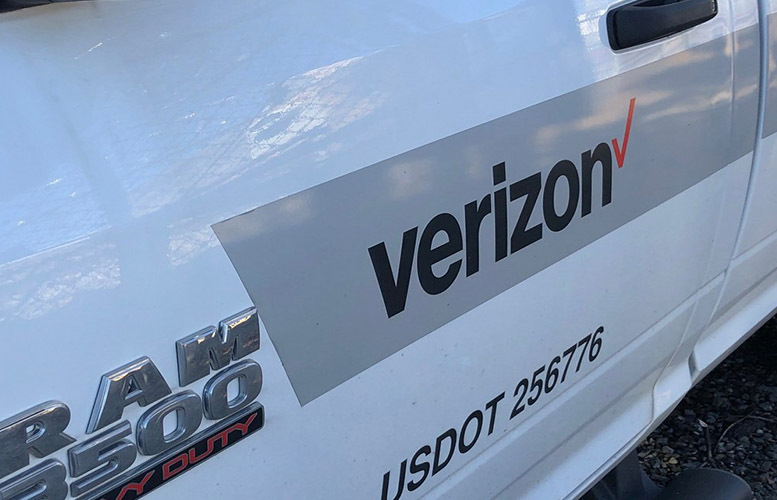 Officials from the New York, Susquehanna and Western Railway pushed Verizon to resolve the situation with the city after inspectors issued violations. “We (NYS&W) strongly urge Verizon to resolve this matter as soon as possible,” wrote Nathan Fenno, president of the New York, Susquehanna and Western Railway. Fenno wanted Verizon to resolve the matter before Nov. 2 court date at the municipal court. “The imminent danger was the tank,” said David Gilmore, director of Community Improvement. He said he is glad the tank, which officials said was used to warm fiber optic cables, has been removed.